Race team tested brake system designed for easy application and extreme conditions. Includes a solid mount 270mm oversized patented Wave® rotor for optimum pad-to-rotor contact and 6061-T6 aluminum relocating bracket. 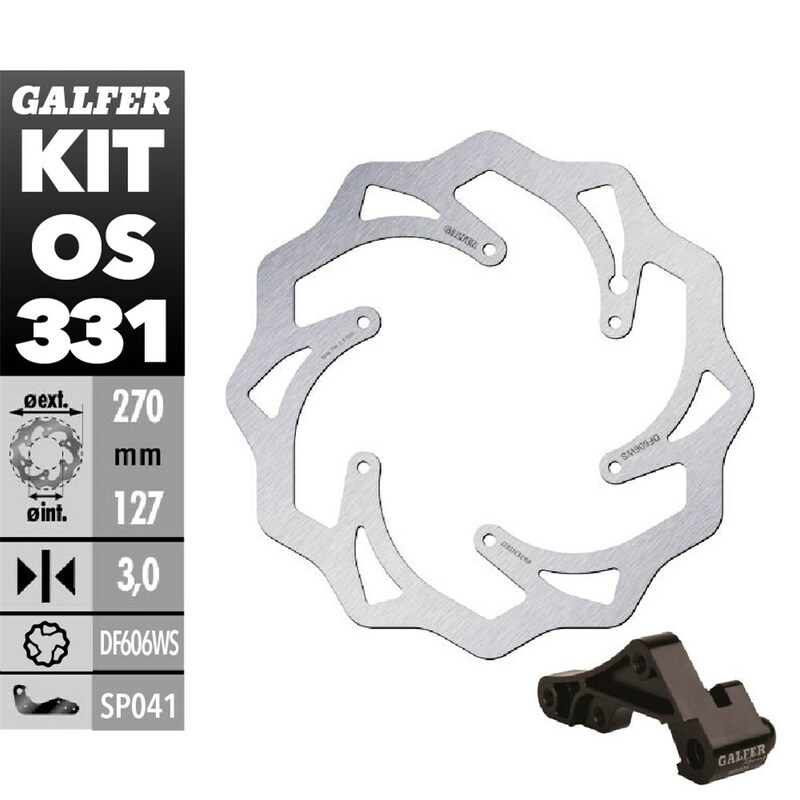 Every high-quality, Galfer-patented Wave® rotor is made from a proprietary mix of virgin high carbon 420 stainless steel, laser cut (never stamped), double disc-parallel ground to assure perfect parallel flatness and heat treated to each specific application. KBA and TUV approved. Full instructions provided along with any technical help needed! Precision made in our Galfer factory in Spain. Designed for both trail and track, this kit is for the rider that needs more than what the stock brakes can provide. Drastic increase in lever feel, modulation and brake torque.